The apartment Le Duplex is located on the quays of Saône on the Old Lyon neighborhood, 2 minutes walk away from Place Saint-Paul and 5 minutes away from Place des Terreaux. The apartment is ideally located for a stay in Lyon. You can go walking to visit the historic district of Vieux Lyon. The famous Rue du Bœuf will lead you to the Saint-Jean cathedral. You can also cross the Saône by the Saint-Vincent footbridge to go for a walk on the Presqu'île. The Vaporetto which leads you to Confluence by the river stops on the quays 2 minutes walk from the apartment. There are a lot of bars and restaurants in the neighborhood, including delicious « bouchons lyonnais » that the owner can recommend. You will also find all the necessary local shops, bakery, mini-market, tobacco, a few minutes walk away. How is this apartment in Lyon with a view over the Saône arranged? The Duplex is a hight standing apartment with an amazing view over the Saône and over the city. Located on the 4th and last floor of a secure building with intercom and elevator, this 150m2 duplex offers very nice volumes and enjoys a beautiful light all day long. As you enter the apartment, you will discover on your right a fully equipped and very functional kitchen: coffee machine, coffee percolator, blender, oven, dishwasher, everything you need is there. Always on your right, there is a first bedroom. This large room is equipped with a trundle bed, offering two single beds, a desk and a small lounge area. On the other side of the apartment, on the river side, is the living room - dining room. This large living room is organised around three areas: a living room with a leather sofa, a dining area, and an alcove library. The balcony offers you one of the most beautiful views of Lyon and the Saône. Sit on the small table on the balcony to have your coffee while admiring the view. In the evening, the dome of the illuminated Saint-Bruno des Chartreux church is magnificent. A bathroom with a huge shower, as well as separate toilets, complete the facilities on this first level. A beautiful wrought iron staircase leads you to the first floor, where you will discover a home cinema lounge with video projector and two comfortable leather sofas. The video projector is connected to TV and OCS channels. Behind the glass wall is a large double bedroom with a King size bed. The veluxes, which fill the floor with light during the day, are equipped with electric shutters that allow you to sleep in perfect darkness. Finally, a large bathroom with Italian shower and WC is adjacent to the room. The owner lives in the studio next to the apartment, adjoining this floor. The owner's studio is totally independent from the rest of the apartment. What is there to do about this apartment during your stay in Lyon? There will be plenty to do during your stay in Lyon around this short term rental apartment. You will just have to cross Saint Paul street to reach the heart of historic Old town, where you can walk through the narrow streets and traboules and visit the magnificent Saint-Jean Cathedral. The Cathedral of Fourvière is also accessible by foot from the apartment, or by funicular. 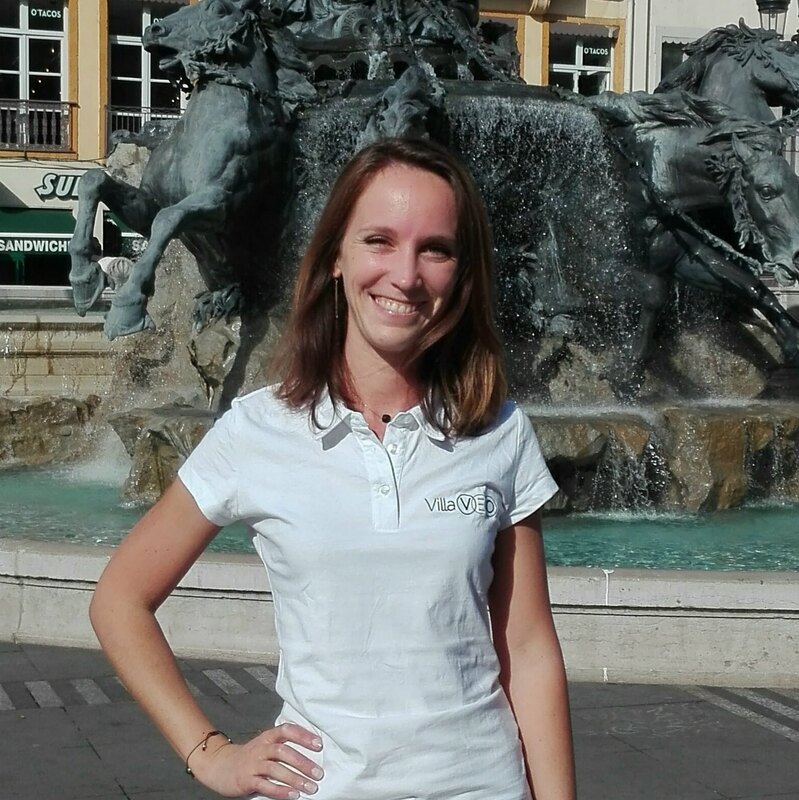 If you want to discover the Vieux Lyon district in an original way, we advise you to book a guided tour with Cybèle. From the apartment you can also walk to the peninsula. Visit the Fine Arts Museum, or Saint-Nizier church. Unless you prefer to go shopping in Republic street. Theater lovers will have a lot of choice between the Espace Gerson, 100m from the apartment, known for the quality of its improvisational theatre shows, or the Théâtre des Célestins, on the 1st district, which offers a more classical programme. Also schedule an evening at the Opera during your stay. You can also find all our vacation rentals in Vieux Lyon. For your next vacation in Lyon, we recommend you to have a look on villas and/or apartments located close to Appartement Le duplex. Our selection is based on your search criteria: destination and vacation rental capacity. We are sure that we will find what you are looking for!